India and Saudi Arabia are expected to announce a ministerial-level 'Strategic Partnership Council' during the visit of Crown Prince Mohammed bin Salman beginning Tuesday with the the issue of terrorism expected to figure in a major way during the talks in the aftermath of Pulwama terror attack. The Crown Prince, who is on his first state visit to India, will hold delegation-level meetings with Prime Minister Narendra Modi on Wednesday to take forward the the existing strategic partnership between the two countries. The Crown Prince, who will reach India after his visit to Pakistan, will be accompanied by a high-level official delegation as well as a large business delegation. 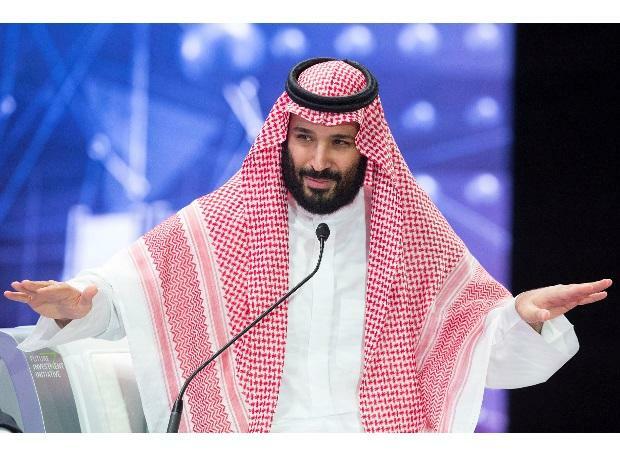 Prince Mohammed is expected to fly back to Saudi Arabia after his visit to Pakistan in an apparent acknowledgement of India's sensitivities which has linked its western neighbour with the Pulwama terror attack. Both sides are expected to sign five agreements during the visit in areas of investment, tourism, housing and information & broadcasting. Talking to reporters ahead of the two-day visit, Secretary (Economic Relations) T.S. Tirumurti said the visit would "open a new chapter" in India-Saudi bilateral relationship. He said the two countries are exploring the possibility of elevating their defence-related engagement with joint production and joint exercises, particularly joint naval exercises. Tirumurti said Saudi Arabia has shown greater understanding of India's terrorism-related concerns and also agreed to work with India in countering the global menace. Saudi Arabia had strongly condemned and denounced the terrorist attack on Indian security forces in Pulwama on February 14 in which 40 Central Reserve Police Force personnel were killed. "We appreciate the Kingdom's cooperation in security and counter-terrorism areas over the years," Tirumurti said. The 2016 joint statement made during Modi's visit to Saudi Arabia in 2016 had called on countries not to allow their territory being used for perpetrating terrorism. It had called on all states to reject the use of terrorism against other countries, dismantle terrorism infrastructure where they happen to exist, and "cut off any kind of support and financing to the terrorists operating and perpetrating terrorism from their territories against other states, and bring perpetrators of acts of terrorism to justice". A MoU on cooperation in exchange of intelligence related to money laundering and terrorism financing was also signed during Modi's visit. Tirumurti said India has been identified as one of the eight strategic partners with whom Saudi Arabia intends to deepen partnership in areas of political, security, trade and investment and culture. "As part of this engagement, we are finalising the setting up of "Strategic Partnership Council' between the two countries at ministerial level. We are confident that this will give greater thrust to our strategic partnership and take forward our discussions in a focussed and action-oriented manner. We are confident that this visit will open a new chapter in India-Saudi bilateral relationship," he said. Tirumurti said that Saudi Arabia is a strategic partner in India's extended neighbourhood and the Riyadh Declaration of 2010 had forged a Strategic Partnership between the two countries. Referring to energy, he said India hopes to transform the buyer-seller relationship to a broad-based partnership. He said fertilisers, food security, infrastructure, renewable energy, ICT, healthcare and pharmaceuticals, electronic and manufacturing facilities, and housing have been identified as areas of enhanced cooperation. Tirumurti said there has been an intensification of engagement between the two countries since Modi's visit to Saudi Arabia in April 2016. He said cooperation in defence sector will continue to be an important area of bilateral ties and meeting of 4th Joint Defence Cooperation Committee was held in January this year in Riyadh. Modi had met the Crown Prince in November last year on the sidelines of G-20 summit in Buenos Aires. The bilateral trade between the two countries was $27.48 billion during 2017-18, making Saudi Arabia India's fourth largest trading partner recording about 10 per cent growth compared to 2016-17. Saudi Arabia is the key pillar to India's energy security being a source of 17 per cent or more of crude oil and 32 per cent of LPG requirements. Tirumurti said Saudi Arabia has conveyed that it will be joining the International Solar Alliance initiative. He said Saudi ARAMCO in partnership with the UAE's ADNOC has agreed to partner in Ratnagiri Refinery and petro-chemical project, a joint venture of $44 billion. The Indian partners are IOC, BPCL and HPCL. India is also looking forward to greater collaboration in the area of civil aviation in the context of increasing trade, tourism and in enhancing convenience of travel. About 2.7 million strong and vibrant Indian community forms the largest expatriate group in Saudi Arabia. They send a remittance of over $11 billion annually.